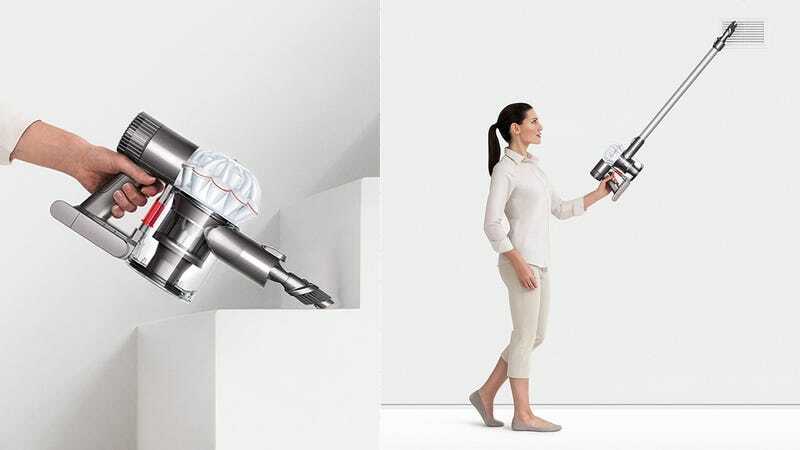 The Dyson V6 cordless vacuum is ideal for cleaning rugs, hardwood floors, car seats, ceilings, shelves...pretty much anything really, and you can get a refurb of the Animal version on Amazon today for $200, which is $10 more than we saw it on Woot recently, but still a good deal. Compared to the standard V6, this model has 75% more brush head power to lift pet hair and other debris out of carpets and furniture. It also includes a motorized turbine tool for handheld use, which works miracles on fur-covered upholstery. In case you missed it yesterday, the V7 Motorhead is also on sale for $249 brand new. Compared to the V6 Animal, it should be roughly as powerful, but its battery lasts longer. It does not, however, include the handheld turbine tool.